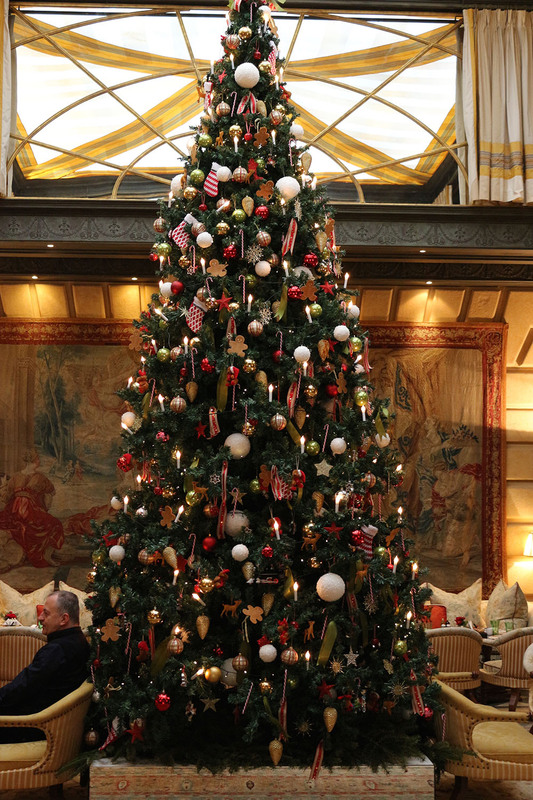 To help get everyone into the Christmas spirit, I felt it my duty to survey and share the best Christmas trees in Monte Carlo. I have to start with the snow laden Christmas tree scene in the centre of the roundabout at Casino Square, truly a highlight, a Christmas wonderland by day and a multicoloured light show by night. Very Narnia! The Hotel Metropole Monaco does not let itself down. Not only is the tree huge but the whole foyer has been turned into a stocking filled cracking fireside experience of the perfect Christmas. There is even a little train set in front of the hearth for the children to play with! 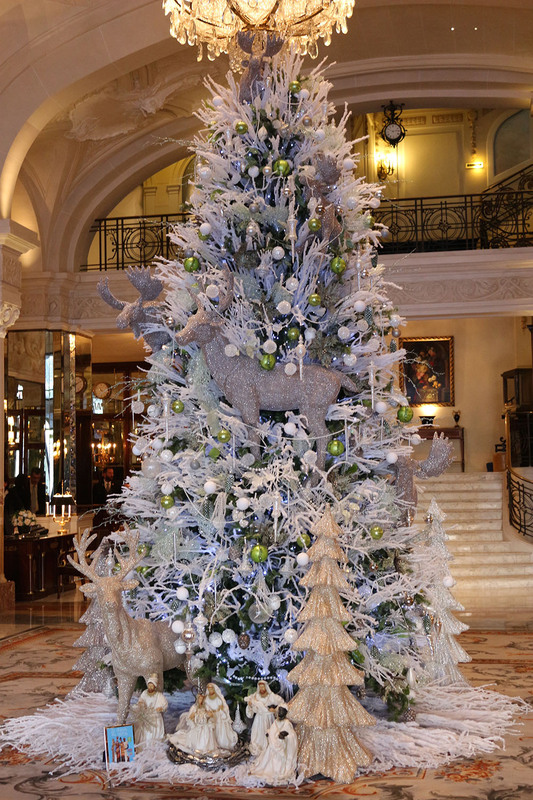 The trees at the Fairmont Monte Carlo are a bit of a let down this year. Last year with the launch of Nobu they splurged on real trees and little Japanese dolls. This year they have gone plastic and my son hardly noticed the trees preferring to walk right on by to take a look at the white Ferrari parked behind them! Even though the Hotel De Paris Monte Carlo is undergoing a massive refurbishment, they haven’t scrimped on their Christmas decorations. The outside of the building is lit up beautifully and is adorned with sparkling lights. In the centre of the foyer sits a huge snow laden tree which is so tall that it bumps into the equally impressive chandelier that sparkles above! Finally the Hotel Hermitage is a highlight. A picture perfect carousel spins in the centre of a snowy scene at the front. Santa was at the Hermitage all afternoon for Christmas Eve and he took all the little children on the beautiful carousel. Magic. Inside the Hermitage instead of a single tree there is a whole woodland scene with little moving animals rocking and tweeting. 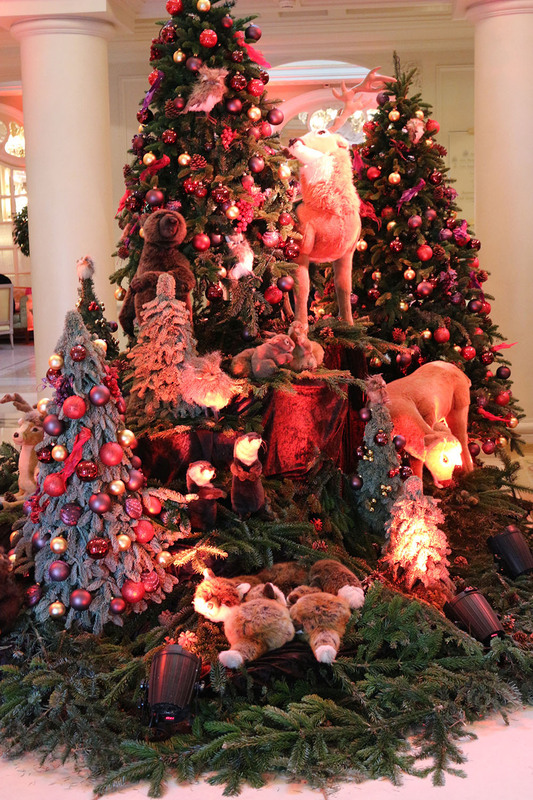 Beyond, an enormous tree takes pride of place in the centre of the main ballroom, and for the Hermitage Christmas Eve event it was surrounded by piles upon piles of tempting chocolatey cakes, crepes and a number of indulgent looking creamy slices. I can’t imagine anywhere that feels more Christmassy than Monte Carlo. Take a look at my photos – I hope you agree and merry Christmas! 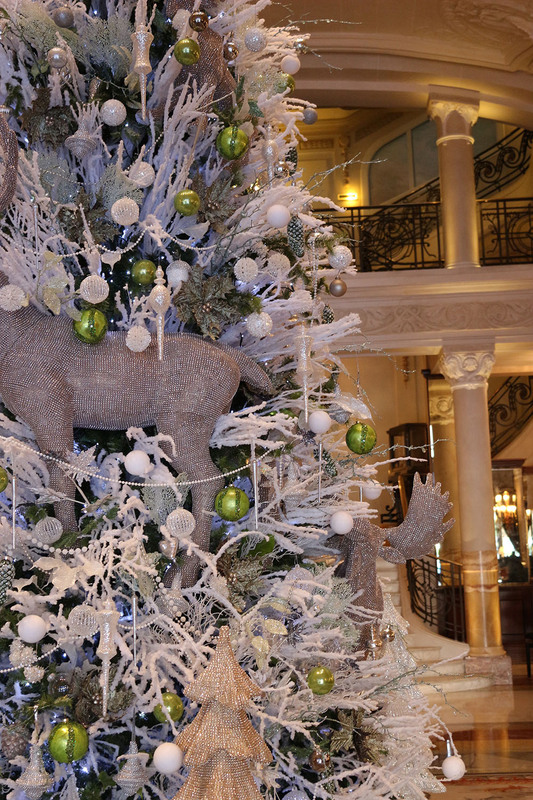 Also see my overview of Christmas In Monaco.